Sole Traders, Partnerships, Trusts, Companies, Super Funds. 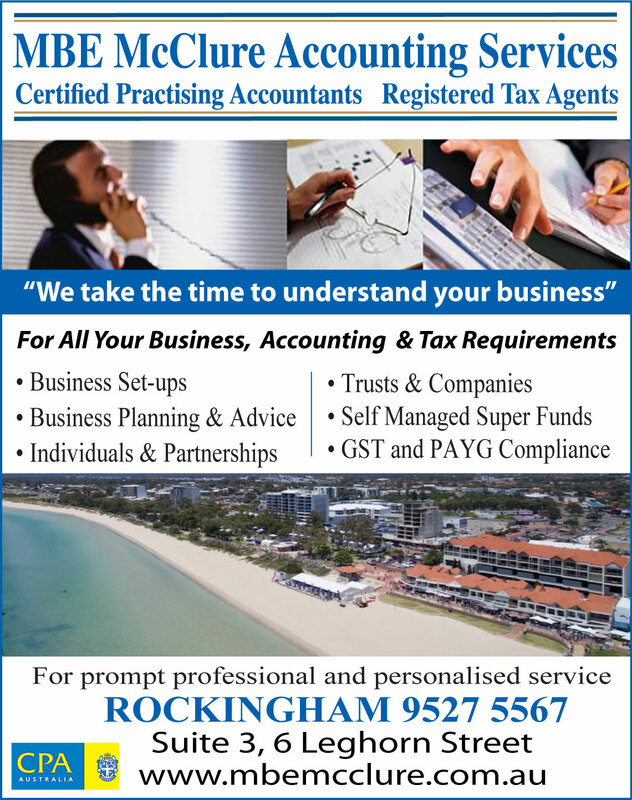 Specifically, we can help you with: Accounting Software (Sales and Training), Asset Preservation, Bookkeeping Services, Business Activity Statements (BAS) & GST, Business Valuation Advice and Assistance, Capital Gains Tax, Electronic Lodgement Service (ELS) = 10-14 day Refunds, Financial Statements, Income Tax Returns, Structuring your Business, Self Managed Super Funds (Accounts & Audit). Our friendly staff in addition to having the finest academic credentials bring a wealth of real world experience in providing truly professional Accounting Services.